Members: September 25 at 10:00 a.m.
Non-Members: October 9 at 10:00 a.m. There are no practices in this league. Strictly business and strictly games. Games will be played on Sundays and Wednesdays. A pre-season draft will determine the teams. 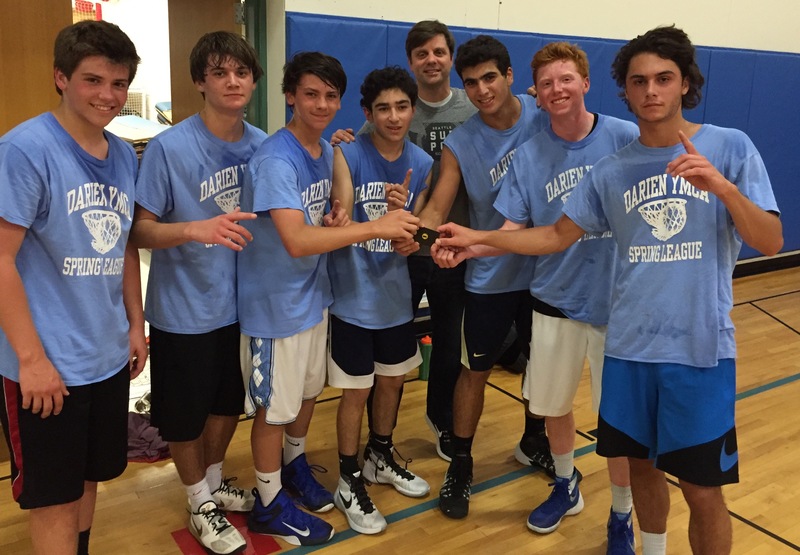 Connecticut High School rules will be enforced with a few Darien YMCA modifications. 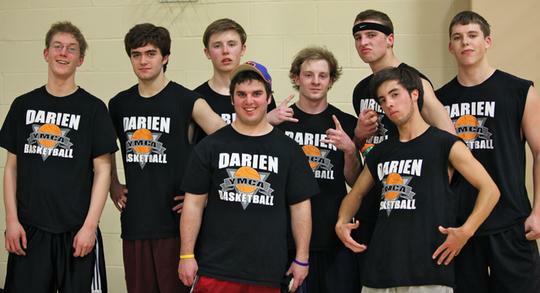 Each player will receive a Darien YMCA Basketball t-shirt. Season will end with a single elimination tournament. * Two 20 minute halves with running time. Time will only stop on free throws and timeouts. The clock will also stop on dead balls in the last minute of the 1st half and the last two minutes of the 2nd half. *10 team fouls will get you shooting one and one. There is no double bonus. If you are fouled in the act of shooting you will get two shots. *Each player gets 5 fouls before they foul out. A technical foul counts as a personal and a team foul. *Each team gets 2 timeouts per half. Timeouts from the 1st half do not carry over into the 2nd half. Each team will get one additional timeout in overtime. *Game play is 5 on 5 but if a team is short, 4 on 4 is allowed. *Pressing is allowed as well as all types of offenses and defenses. *Halftime is 3 minutes long. * One referee and one scorekeeper will be working each game. *Overtime is one minute long. The clock will stop on dead balls. *3 point shots are allowed. **CONDUCT - Please make sure you, your players, and your parents respect and treat the YMCA Staff properly as well as the other participants of the league. These leagues are for fun and the last thing we want to deal with is behavior issues. If a player, parent, or coach is a problem on more than one occasion they will be asked to not return and they won't be allowed to participate in the league. No money will be refunded.